I've been using MacSpeech Dictate for around a year; the program has increased my productivity immensely. If you're on a Mac, and are wondering whether this program is for you, visit my new lens MacSpeech Dictate Review: Superb Voice Recognition for the Mac and watch some video demos. Tweet, tweet... are you using Twitter? Are you using Twitter yet? You should be; it's an easy way to get writing jobs. When you do join Twitter, it can be confusing. Who should you follow? Where are they? Here's a good method of finding people to follow. "When you start using Twitter for the first time it can feel a bit overwhelming, almost like entering a really crowded train station during rush hour on a Friday afternoon. There are lots of conversations and commotion going on everywhere, but you are in the station by yourself, an outsider, and certainly not a participant." Amazon's ugly-as-hell prototype e-Book reader will make landfall—in sleeker form, one hopes—on Monday or Tuesday next week. Will this reader launch ebooks into the mainstream? I'd love to think so, but after a decade of ebook readers, it's hard to believe that this one could be the killer machine. Twitter is an unusual application: it's a cross between instant messaging and blogging. It's addictive. You've got 140 characters, around 25 words, to say whatever you want to say in your "tweets". * As a collaborative tool. If you're working on a project, you can send a tweet to let others know what you're working on. If you're using a Web application like Google Docs, post the URL so that others can update it. How do you use Twitter? Share your thoughts in the Comments. Judging by the popularity of last year's post "Writers' Mac: Best Mac programs for writers", lots of people are switching to the Mac. Good for you - I hope your Mac enhances your creativity, as it does mine; I'm sure it will. Now I'm an old Mac hand, with two years on the Mac - if you don't count my Apple IIe in the 1980s - I thought I'd revisit that post and update it with great new Mac writers' applications I've found in 2007. It's cute, uber-useful and I use it every single day. It makes creating tutorials and articles FUN. A gem. Still in invitation-only beta as of this writing, but will doubtless be out of beta soon. Scrivener is a continuing delight. It allows the creative process to be appropriately chaotic, then helps you to put all the pieces together. I adore it. Fantastically useful, especially since it saves all Web pages, PDFs etc in on your hard drive, not in a proprietary format. I use it to keep track of Comments I make on blogs and forums, and email messages I write to my writing students. Tinderbox bills itself as "the tool for notes", but it's much, much more. It's unique. I've been using it for a couple of years, and still feel as if I haven't scratched the surface of what it can do. As if there weren't enough blog spam already, a Web site has started selling blog spam packages. The site hires people to leave spam comments on blogs. As you might imagine, this is a royal pain in the you-know-what for the blog owners, like me, who have to manually delete all the garbage. I'm always pleased when a reader comments on this blog, and I sincerely hope that you'll continue to do so. I love comments. But unfortunately with so many spam comments now infesting this site I've made TypeKey authentication mandatory, and I apologize. I do hope that you'll comment anyway - you only have to sign up with TypeKey once. If you own a site and you imagine that you can hire people to spam others and that it will work for you - it won't. The "for hire" spam comments are easy to pick, and the comments just get deleted. You're wasting your money and everyone's time. Got two computers and want to share a clipboard? I'm always Bluetoothing notes and documents from my Mac to Windows and vice-versa - this is a great time-saver. ReviewMe is a brand new service created to bring advertisers and bloggers together. Advertisers who want to create buzz for a product or service can choose from blogs which are signed up for the service, and get a review. This is great for both advertisers and bloggers. ReviewMe works seamlessly. You just sign up for the service, define the product you want reviewed, and click a tag cloud to check out the blogs available in your category, and buy some reviews. No need to spend hours hunting through the search engines to find blogs in your category, and then sit down and and write email messages asking for reviews - you know that the bloggers who have signed on with ReviewMe are happy to do reviews. A ReviewMe review gets you backlinks, and an unbiased review. Prospective buyers can check out someone else's opinion on your product. I do a lot of software reviews on this blog, and the reviews (all of them unpaid to date), are some of the most-visited pages on this site. If you're a blogger, you'll be relieved that ReviewMe is so easy to use. The signup process is painless and fast. Once you've signed up your blog(s), you just sit back and wait for review requests. If a product appeals to you, you can choose to review it, and post the review on your blog. That's it - you're done. Disclosure: the above is a paid review. Have you explored Second Life yet? This virtual world is now three years old. Writers and publishers are taking notice. Recreating the legendary Parisian bookshop within a virtual world may seem like a bizarre idea but, somehow, it works perfectly. I walk through the doors and into a room lined with bookshelves filled with brightly coloured spines, armchairs and stools tucked into cosy nooks and crannies. The Shakespare and Co motto - "Be not inhospitable to strangers / lest they be angels in disguise" - is in pride of place above a doorway. 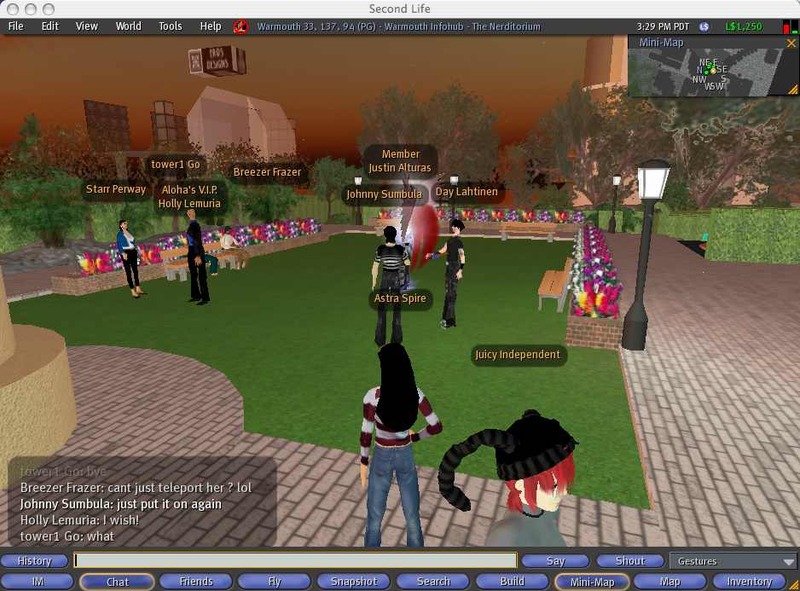 It is arguably a little more tidy than the original, but then most things in Second Life are. It is also a bookshop with a sense of atmosphere, the kind where you feel that maybe you'd like to sit down, kick back and browse for a while. It conveys both warmth and purpose - features that many virtual world buildings lack. If you're a regular reader of this blog, you know that I have several writing-related Web sites. Finding information on any of those sites just got easier. I've created a Google Custom Search Engine just for my sites. Check out Angela Booth Writing And Copywriting if you're looking for info on copywriting, freelance writing, writing in general, and blogging. * The RSS feeds are now set to excerpts only, because of content theft. Whether you have a Web site or a blog, or both, you'll soon find yourself up against content theft. This occurs in various ways. Someone can republish ALL your content as their own, or "scrape" the content, usually via an RSS feed. In a nutshell, someone who republishes your content without authorization is stealing from you. Don’t fall into the fallacy of, “It’s publicity, so it’s good for me.” If it’s a splog or otherwise unsavory site, and if they don’t even credit you or link back to you, then they’re getting all the benefit from content you’ve worked to create. With nothing for you. Plus, they’re probably damaging your reputation. The reputation-management aspect is what concerns me. I don't want my name and content to be associated with sleazy sites. What can you do about scrapers? Not much, unfortunately. It's up to Google and the other search engines to manage splogs (spam blogs) but since they're gaining revenue from them, the incentive isn't there. I've been exploring the new Google News Archive Search. News archive search provides an easy way to search and explore historical archives. Users can search for events, people, ideas and see how they have been described over time. In addition to searching for the most relevant articles for their query, users can get an historical overview of the results by browsing an automatically created timeline. Search results include both content that is accessible to all users and content that requires a fee. Articles related to a single story within a given time period are grouped together to allow users to see a broad perspective on the events. I did a couple of searches, and most of the info I was interested in (from 70 years ago) is locked - it needs a subscription to access it. However, I think this will change as newspapers begin to see the possibilities in monetizing their archives. Google News Archive Search should cut down on the research time required for many projects. Even if something is removed from a site or blog, it can be found in the 55 billion pages archived on The Wayback Machine archives...the bottom line is, and always has been, if you don't want the whole world to see it, don't put it on the Internet. My very first Web site, circa 1997, is still drifting unanchored through cyberspace. I stopped paying for the hosting for that site many years ago, but it's still on various servers and comes up regularly for searches. Please watch your words online. If you're trying to sell a novel, for example, don't complain about the numbers of rejections you've had - or about a specific editor or publishing house. Don't get into flame wars or arguments with other writers in discussion groups: editors read these groups too. Don't post anything on your blog or on a social networking site that you wouldn't want to read on the front page of a newspaper. 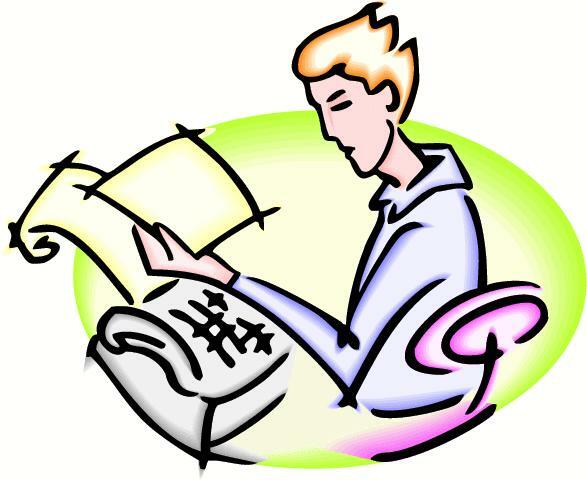 Expect that anything that you write online will be read by people forever. And that includes (supposedly private) email. Writer's Web site, writer's blog, or writer's wiki? Which will you choose, a writer's Web site, a blog, or a wiki? Decisions, decisions. If you're still grappling with the idea of setting up your own writing Web site, and wondering whether you should start a blog instead, here's another format to consider for your site -- a wiki. The NYT article: "New Web Sites Seeking Profit in Wiki Model" describes startups which are basing their business plans on the wiki model, however companies have used wikis for their internal Web sites for years. The benefit of a wiki is that it provides an easy structure for a site which will be used by many people.